The abundant production blessings of irrigated agriculture can yield a complex curse – how to manage the drainage water it generates. 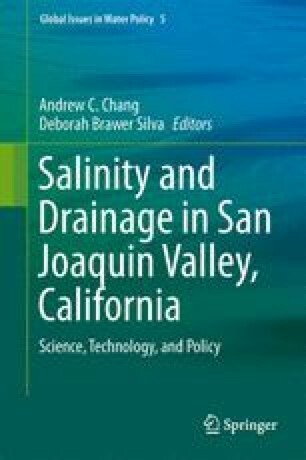 A quarter century ago, California least expected had to grapple with an eco-toxicological crisis due to the bioaccumulation of selenium through the aquatic food chain of agricultural drainage water stored in the Kesterson Reservoir that led to deformities in waterfowl embryos, reproductive failure, and sudden death in birds and fishes. The Kesterson Reservoir was a part of the National Wildlife Refuge in the San Joaquin Valley, the heartland of California’s Central Valley where more than two million hectares (five million acres) of irrigated farmland are located, see map of Central Valley, California.